Choose what you need to win your deals ! Or simply: Achieve your sales targets ! We provide on-site assistance as proposal co-managers and help you to develop a winning proposal. Experienced, APMP certified CSK bid/proposal managers provide active support throughout the entire bid process, from RFP analysis to final submission and beyond. We assist you with programme management, production and logistics support, leveraging our BidMaster™ approach. 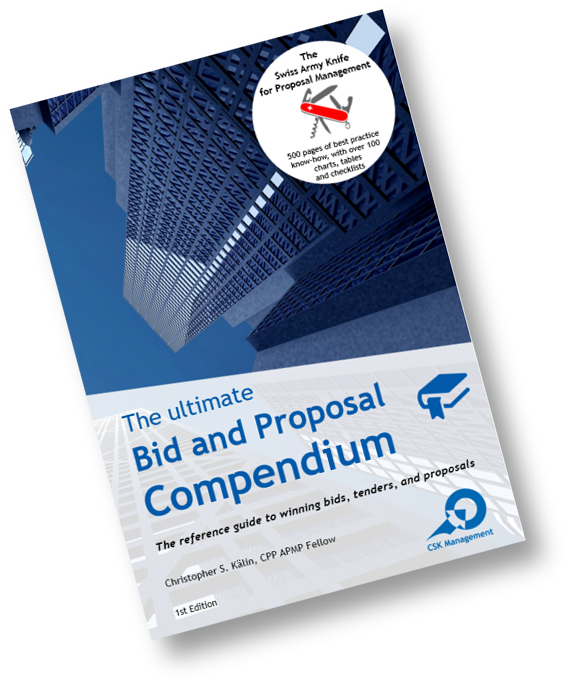 Your proposal resources will also acquire new skills and tools, enabling the team to apply them in the next bid themselves. Our win rate is >78%. Over 90% of our customers havecome back to us to hireus for a 2nd assignment. With live deal support, CSK havehelped customers to win dealsworthmorethan EUR 60 bn. IT, Telecoms, Gambling Industry, Defence, Transport, Consulting, Utilities, Infrastructure, Engineering etc.